It's the end of the year. Let's share our favorites! Or: Of the many poetry books I enjoyed this year, I returned to these most. These collections were recent discoveries for me, but not necessarily published this year. I don't often read poetry books in one long session but one after the other these poems kept me rapt. 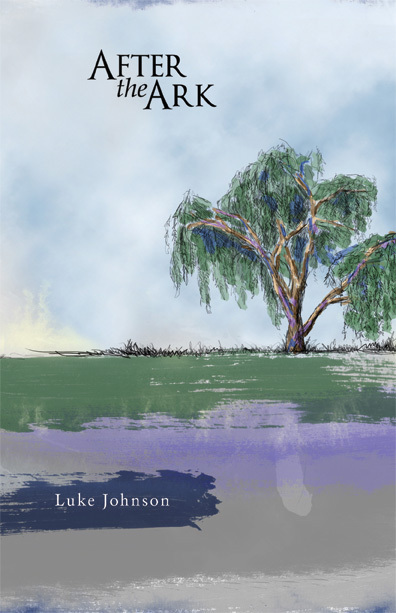 In his debut, Johnson, the son of two ministers, deftly blends faith and loss into full-bodied and accomplished poems. And I'm not alone in my praise. The Huffington Post listed the collection as one of the 20 Best Books From Independent Presses. How does she do it? In her debut collection, Beers offers sometimes longish, prose-like poems that twist and turn and keep me reading and re-reading, asking: Did she say that? Did she mean that? How did she do that? These are grounded, hardworking poems that don't stammer or hedge, and yet they are intimate, epic, crafted — and real. "This young woman writes poems crammed with the beauty, irony, and the sadness of the world: crummy jobs, meanness, illness, loss, and all the perspective they bring," says Penelope Scambly Schott. O'Neil's debut collection is one of the most visually appealing poetry books I've read. The poetry world is, sadly, cluttered with shoddy production. Thankfully, CavanKerry Press knows the value of good graphic design, quality paper, and a professionally produced product. I wasn't a fan of haiku — until I read this book. And now, I read the short form with great appreciation. "These poems are just like waves — some quiet, some stormy," notes Michael Dylan Welch. "Acceptance, ultimately, is a central stance of this book, welcoming what is received, to the point of celebration." In this smart, funny and touching collection, Agodon offers poems both rich and lively. My copy is marked and worn. Favorite poems: Memo to a Busy World, Letter to a Past Life, and Letter to an Absentee Landlord. (Who am I kidding, nearly every page bears a bookmark). What did I miss? What poetry books did you love this year?